Declarative memory is a form of long-term memory that deals with the storage of information like facts and events. It refers to the memories that you can recall consciously any time you want. It is also known as explicit memory, as it concerns with information that is stored and retrieved explicitly. Proper care and feeding of your declarative memory is obviously important. Declarative memory and procedural memory are two different forms of long-term memory. They are basically two sides of the same coin. The former deals with the ‘knowing what’ part whereas the latter deals with the ‘knowing how’ part. 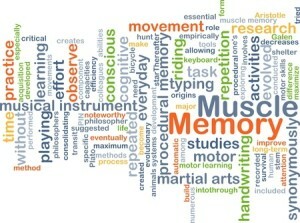 Declarative memory is the ability to remember and recall names, phone numbers, addresses, formulas, events, and so on. The procedural memory is the ability to remember how to perform actions like buttoning a shirt, calling someone on the phone, tying a shoe, riding a bike, driving a car, and so on. It is divided into episodic memory and semantic memory. The first type of declarative memory is episodic memory. It is the memory of events that you experience personally. It refers to a chain of memories, each of which is linked to a particular place (the place where an event happened), a particular time (the time when it happened), and a particular emotion (the way you felt when it happened). It is basically the memory of highly personal, autobiographical events and experiences that you can remember and recall explicitly. For example, if someone asks you about your graduation ceremony, your wedding, your first pay raise, or any other event that is very close to your heart, you may be able to remember every single detail like the clothes you wore that day, the names of the people you met, the way you felt at that time, the place where the event took place, and many more. The second type of declarative memory is semantic memory. It is the memory of facts, ideas, meanings, understandings, and general knowledge. It refers to the knowledge that you acquire and share with others. It deals with the storage of factual information about the world. Unlike episodic memory, it is not completely autobiographical in nature and is not linked to personal events. For example, if someone asks you a question about social customs, linguistics, history, mathematics, current affairs, or any other topic that you are familiar with, you could respond immediately without thinking about any personal event or experience in which you learned the answer to the question for the first time. 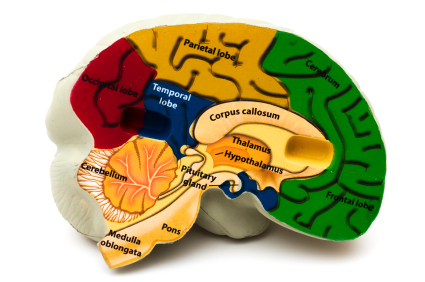 Declarative memory is stored in the temporal lobe. The hippocampus and the parahippocampus, both of which are located in the temporal lobe, play a key role in the development and recollection of declarative memory. The development of new memories is dependent on both the hippocampus and the parahippocampus. The retention and “re-collection” of memories is mostly dependent on the hippocampus. A number of other regions in the brain also play a role in the formation, retention, and recollection of memories. The prefrontal cortex, for example, is associated with the recollection of contextual details related to an experience. The amygdala is associated with the recollection of highly emotional memories. Other regions like the occipital lobe, ventral temporal lobe, fusiform gyrus, and the diencephalon also play a role in the formation and “re-collection” of memories. Declarative memory skills are required in everyday life. When you want to call someone on the phone, use a mathematical formula to solve a problem, try to recall the name of a person whom you have met before, visit someone you know, or describe an incident you witnessed to someone, you need to recall names, addresses, phone numbers, formulae, and other such information required to complete the task. Stress is one of the major factors that can affect declarative memory. It impairs your ability to learn, remember, and recall information. Studies show that stress elevates the amount of cortisol in the body. It results in a decrease in brain activity in areas like the hippocampus and prefrontal cortex, both of which are closely associated with the process of declarative memory recollection. It adversely impairs your ability to retrieve information from your brain. Lesions in the brain can also affect your declarative memory. Damage to the hippocampus in particular can adversely affect your ability to learn, remember, and recall information. For example, a traumatic brain injury can lead to post-traumatic amnesia – a state of shock, confusion, and memory loss that may render the injured person unable to remember his name, where he is from, and how he sustained an injury. 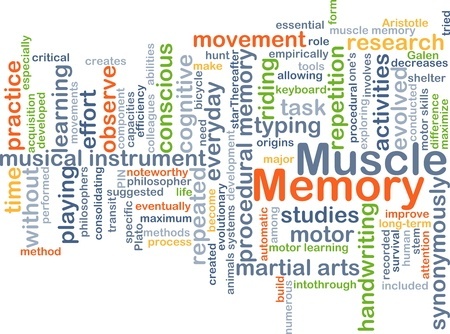 Mnemonic systems can be extremely helpful in improving long-term memory. The idea is to encode difficult-to-remember information using mental images. Later, when you want to recall a particular piece of information, all you need to do is recall the image that is associated with it.